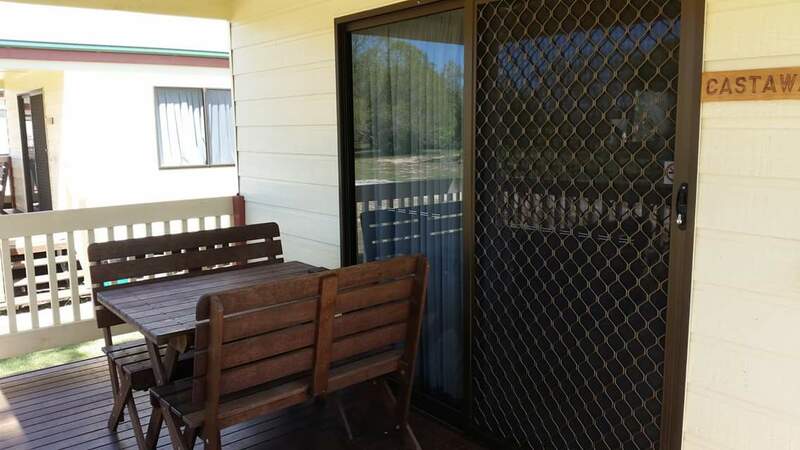 Broadwater Haven hosts 10 well appointed cabins. 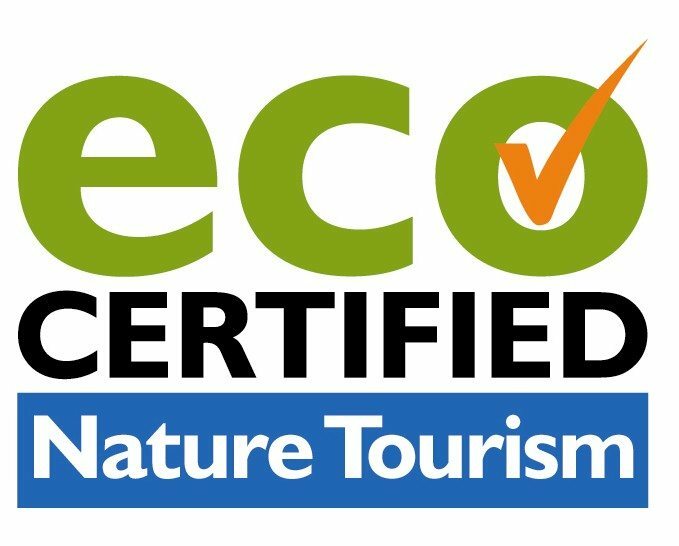 Our Eco-Friendly resort operates on solar power, and our water supply for all drinking, showering and kitchen use is all rain water. Bore water, tested fit for human consumption, runs the toilets and outside taps. We supply recycle bins also for all the individual cabins. We appreciate your support in making this planet a better place for generations to follow. All cabins are fully self contained with fridge/freezer, microwave, TV, DVD, kitchen appliances, crockery, cutlery, pots and pans. All linen is provided including bath towels. There is a minimal, once only supply, of tea, coffee, sugar, milk, toilet paper and rubbish bin liners. Similar to the amount you would see in a motel room. Any of these items that you need over and above this you will need to bring along yourself. Towels are changed every 4 days and sheets weekly. All cabins are NON SMOKING, and pets are NOT ALLOWED inside the cabins. 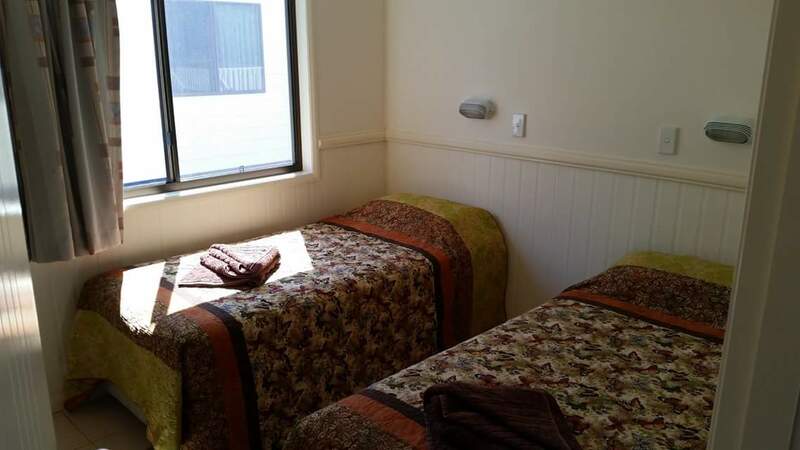 Cabins 1 to 8 are waterfront two bedroom cabins with a queen bed in one room and two singles in the other. There is a fold out sofa bed in the living room that can be used to sleep extra people, but is better suited to children not adults. Separate bathroom. Open plan living, dining and kitchen area. Cabin 9 is a one bedroom cabin with a queen bed and is located on the second row of cabins. There is a fold out double bed sofa in the living area. This cabin is also fitted with a ramp for wheelchair access and has a large open bathroom facilities with assist rails to accommodate our disabled guests. Open plan living, dining and kitchen area. Many of our couples or single guests that come to stay regularly, prefer to stay in this cabin or cabin 10, as they both have larger open living areas, larger verandas and are more private than the front row cabins. Cabin 10 is a one bedroom cabin with a queen bed and single bed in the one room and is located on the second row of cabins. There is also a fold out double bed sofa in the living room. This cabin has a larger open living area than the front row cabins and, similar to cabin 9, is preferred by many of our return customers who enjoy that little bit extra privacy. 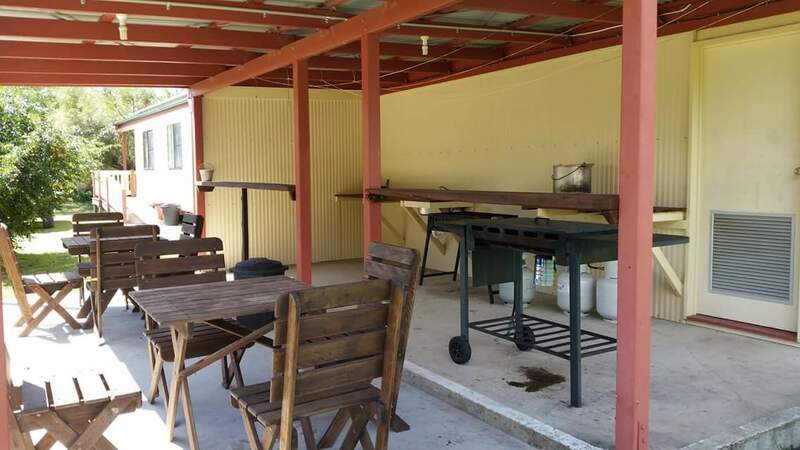 Shared bbq areas and shared laundry are available to use free of charge. We have become the location of choice for many of our guests that have returned countless times and often brought back with them their families and friends. 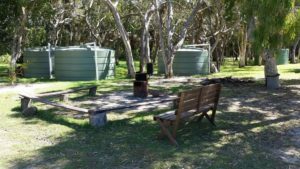 Broadwater Haven has become the perfect place for large family reunions and events with clients hiring out all 10 cabins for fantastic private celebrations in a friendly, relaxed atmosphere with quality, clean accommodation. $20 FEE : TERMS & CONDITIONS APPLY : Pets are welcome, but in the best interest of other guests, the following conditions MUST apply. Pets are STRICTLY NOT ALLOWED inside the cabins. We can supply a pet gate for your veranda so your pet can be with you but not inside. Pets must have a quiet nature and be of friendly character so as not to be noisy, upset or interfere with the relaxation time or safety of other guests and children. Pets must remain with you and under your control at all times. Pets are not allowed to roam unleashed as this can upset other guests and also our native wildlife. Owners are expected to clean up after their pets immediately so that no one steps on any nasty surprises. Important: If you are bringing your pet, please make allowances to have them with you all the time. You cannot leave them unattended if you leave your cabin. . If you do allow your pets inside the cabins you will be asked to leave, and a charge of $200 will be charged to your credit card to cover the costs of professional steam cleaning. If you are asked to leave no refund will be given for any unused accommodation. Looking for a Fantastic Family Holiday? Broadwater Haven is the Ultimate Getaway. 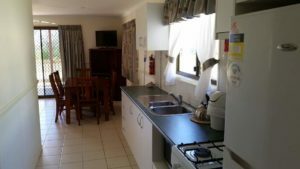 Clean, affordable accommodation in stunning surrounds.